The primary responsibility of the Office of Global Perspectives is to serve all Lee University students by providing accurate information related to and options available for fulfilling the cross-cultural experience requirements. Lee University's cross-cultural experience requirement for all students includes a minimum of two Global Perspectives credit hours. For more information, visit our Requirement section of Getting Started. Tuition assistance, scholarships and financial aid apply in most cases. It is our hope that students will view the Lee University Cross-Cultural experience as an opportunity and not just a requirement. We challenge them to immerse themselves in another culture, and as they broaden their understandings of the world, they may be surprised by how it changes their perspectives. The goals of the cross-cultural portion of the core curriculum are to help raise students’ awareness of increasing interdependence of our world and to emphasize that every human being has a potential for making a significant contribution to the kingdom of God. Furthermore, it is a goal of the cross-cultural requirements to foster in students a respect for the diversity of perspectives represented in the world community, to help students articulate an understanding of their own Christian values and to show how these relate to another cultural perspective. Cross-cultural programs should give students exposure to a cultural perspective other than their own, provide opportunities for dialogue about their relationship to that culture, and guide them through their own personal cross-cultural encounter. Academic Credit - The most obvious reason why students study abroad is to earn academic credit. 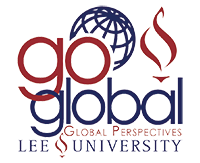 Lee Global Perspectives Trips are led by our credentialed faculty who teach between five and seven credit hours relative to the location of study. These courses include everything from general course requirements to senior level courses. Plan ahead and you will be able to fulfill your cross-cultural experience requirement while also completing core courses required for your major. Students also have the option to participate in an Individually Arranged Study in a foreign college/institution of their choice. The Individually Arranged Study gives students the opportunity to research and design a cross-cultural experience that is more specific to their preferences and academic needs. The Resume Factor - Most students expect their education to equip them with the skills and experience necessary to give them a competitive edge professionally. The world market place is shrinking rapidly, and many companies are requiring cross-cultural experiences and even proficiency in second languages. Experiences abroad broadcast that you are resourceful, adventurous, internationally minded, and diverse. Practical Experience - It may be that only through a global perspectives program can you gain the real expertise you desire in your education. Why not study Art History in Italy? What better place is there to study Wildlife biology than Australia? For more information on these and other global perspectives trips, visit Lee Global Perspectives Trips. Learn In Context - Studying abroad will give you experiences outside of the classroom. Get hands-on training in Singapore while earning an international business minor. Learn about literary genius C.S. Lewis while touring the Kilns in England. Immersion into a cultural setting will provide you the opportunity to discover your strengths and abilities, manage challenges, and adapt to unfamiliar situations. Challenge Yourself - Go out into the world and engage your senses – taste, hear, smell, feel the various cultures around you. Lee’s Global Perspectives requirement can be life-changing, expanding your compassion for others and broadening your understanding of the world in which we live.